Windows and doors are the most vulnerable parts of the exterior of your home to weathering and security concerns. They can also cost you hundreds each year in heating and cooling costs if they are not installed properly, which is why you shouldn’t trust just anyone with that job. 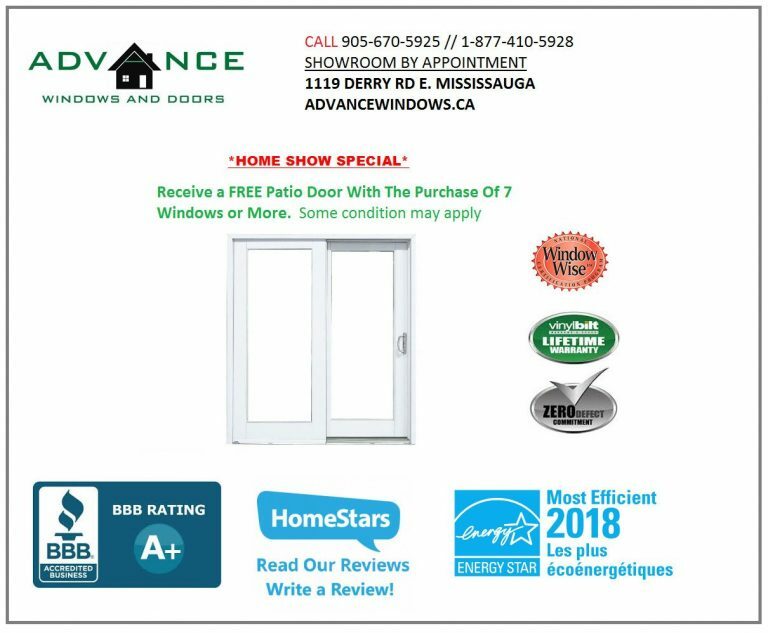 With more than 15 years of experience installing doors and windows, Advance Windows & Doors are the go-to people in Mississauga for your entryway needs. 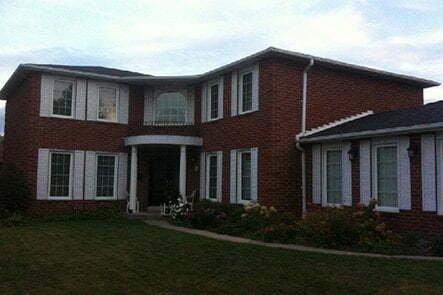 We improve the appearance of every home we work on and enhance renovation projects. 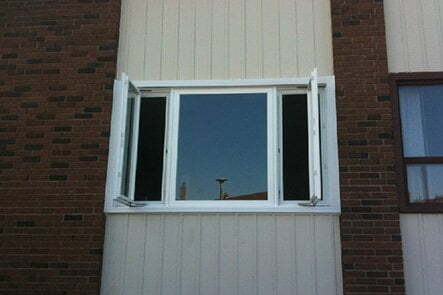 We install custom casement windows on the homes we work on, and our entrance doors are of the highest quality. You can get the services of a 5-star business for an unbeatable price with our monthly special. With dozens of rave reviews across all of our platforms, you can feel confident trusting your windows and doors with us. All of our products at Advance Windows & Doors must exceed our high standards of quality, which is why we offer lifetime warranties for our white vinyl frames, vinyl sash members, insulating glass and on all hardware. Our Solar BondTM paint standard colours come with a 15-year warranty, and all of our warranties are non-prorated with no charge on transfers. 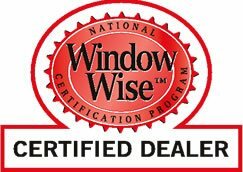 As long as you own and reside in the house the windows and doors were installed in, our warranties are in effect against material defects and regular use. We even cover tears and punctures on screens for up to 30 days. For complete warranty details, speak with one of our representatives. Our professional and knowledgeable installers are endorsed by homeowners and approved of by leading certification authorities. Ensure your windows and doors are correctly installed by booking an appointment with us. At Advance Windows and Doors, we can provide all different types of entry doors. Please contact us to discuss further as there are endless options and styles to talk about. 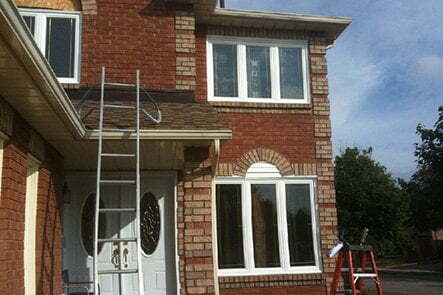 With over 15 years of professional experience with front doors/entry doors installation and window replacement, Advance Windows is Windows Mississauga. We have consistently improved the appearance and value of each house we have been able to work on. The finer details in our products are able to enhance each home renovation. The casement windows we install are always custom made for home. Entrance doors made and installed by Advance windows are only made with revolutionary quality. For those seeking something unique, visit our monthly specials page. Our clients have expressed their thoughts in reviews across the several platforms. With over 25+ reviews, Advance window is a consist 5-star business. Please feel free to browse our entire site. You will be sure to find what you are looking for. If not, give us a call and we will talk pricing, at (905) 670-5925 or 1 (877) 410-5928.